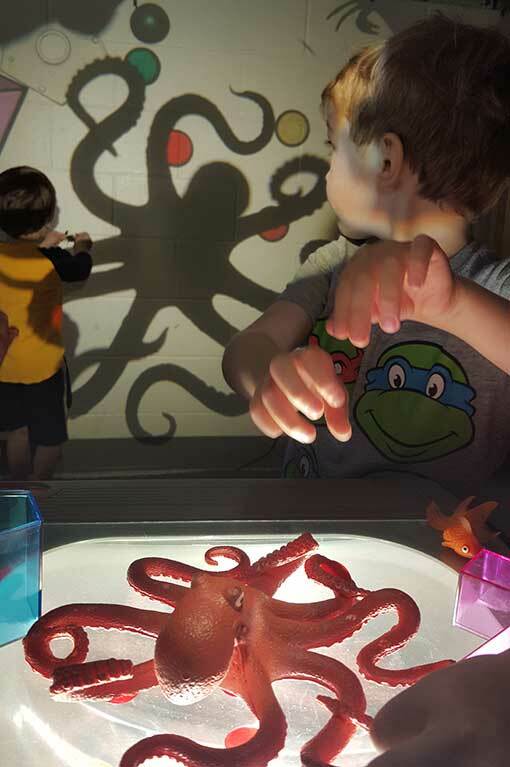 Project learning and emergent curriculum are woven together to create a curriculum that values children’s ideas and promotes in-depth investigation of those ideas. It begins by listening to what children wonder about and continues as a creative collaboration between child and teacher. Teachers respond to children’s actions and thoughts to rouse further thought and deeper understanding of concepts. Projects emerge individually, in small groups or with the entire class. Children learn best through play and hands-on activities in which they are active participants. We approach learning in a spontaneous, playful manner. Children help us make labels for the store they have set up; they experiment with patterns and shapes at the art easel; they incorporate geometry and engineering as they build castles in the block corner. This all happens within the natural context of our day. The outdoors is an extension of our classroom. Children explore the world and its natural phenomena in our spacious playground. Sand, mud, water, grass, logs and stones are just a few of the natural materials that are accessible. Children develop large muscle skills as they whiz around on tricycles or scale the climber. In addition, classroom materials are often brought outside to be explored in new and different ways. The arts are a vital aspect of our curriculum. Music and art are woven into our day as children are immersed in an art-rich environment. Children have daily music with our trained music teacher, working in small groups, individually or with whole classrooms. They work on pitch, tone, rhythm, and most importantly experience the joy of music. Our art studio is available daily for all children to explore. The primary goal of the art room is for children to recognize what it means to have an idea and put it in motion. The art room is a haven for their creative risks and whimsy. Daily Afternoon-Only Schedule, 12:30 p.m. to 3:30 p.m.